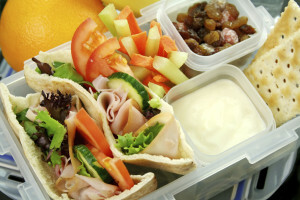 Are you tired of your usual peanut butter and jelly sandwich for lunch? I’ve recently hit a lunch rut and decided to start eating a bit more creatively during my lunch hour. 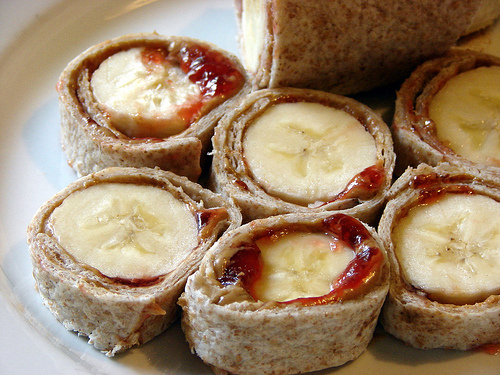 I used a whole wheat wraps spread with peanut butter (or almond butter), jelly, and some sliced bananas to put a spin on the classic PB&J. 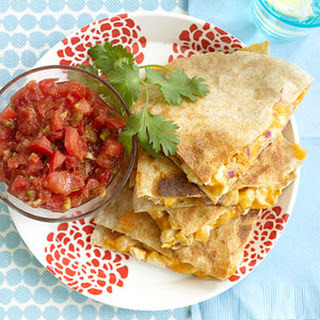 Quesadillas made with cheese, spinach, and other vegetables is a fun lunch choice. I brought some guacamole and salsa on the side to really spice things up! 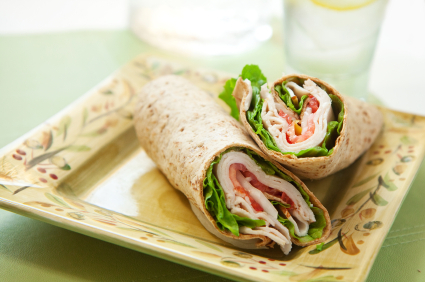 Wraps are easy, roll up, and can be filled with as many vegetables as you like. My favorite is with turkey, spinach, feta cheese, and sliced tomatoes! Pita Pockets are great with hummus, falafel, or whichever sandwich filling you fancy! 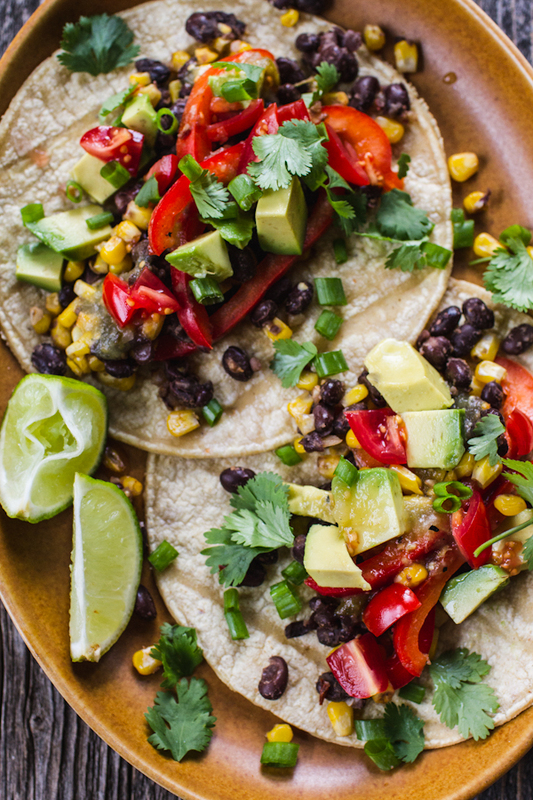 Tacos, especially if you have dinner leftovers like I did, are an easy and healthy option for lunch. I used black beans, corn tortillas, shredded chicken, salsa, lettuce, and tomatoes.